What a wonderful Christmas I had to spend with my family and now we get to bring in the New Year's in a couple of days. How awesome is that? Today, I am thrilled to be joining some fabulous bloggers and we are going to share our favorite recipes. This tour is going to be amazing, so make sure to stop by at the end of this post and visit the other ladies! I did not use the Hershey's cocoa powder but Chatfield's. Just use a good quality cocoa powder. Before adding your wet ingredients make sure to sift all the dry ingredients. Another tip when you add your batter to the cake pan make sure to tap the pan on the counter before putting them in the oven. This will remove all the air in the batter. To change this recipe up I have added 1 tablespoon of instant coffee or add 1 teaspoon of grated lemon rind to the batter. All I have to say is delicious! If you don't want to make a cake just use your cupcake pans as well. Now, go visit the other bloggers for some more inspiration. See you next year. Happy New Year's! Well who doesn't like a good chocolate cake. I myself am a lover of all things chocolate and this looks yummy! This looks so good! My family would devour this! You had our attention at "chocolate". We are chocolate lovers and can't wait to give this a try. So happy to share the tour with you. Cheers to a Happy New Year! Wow! 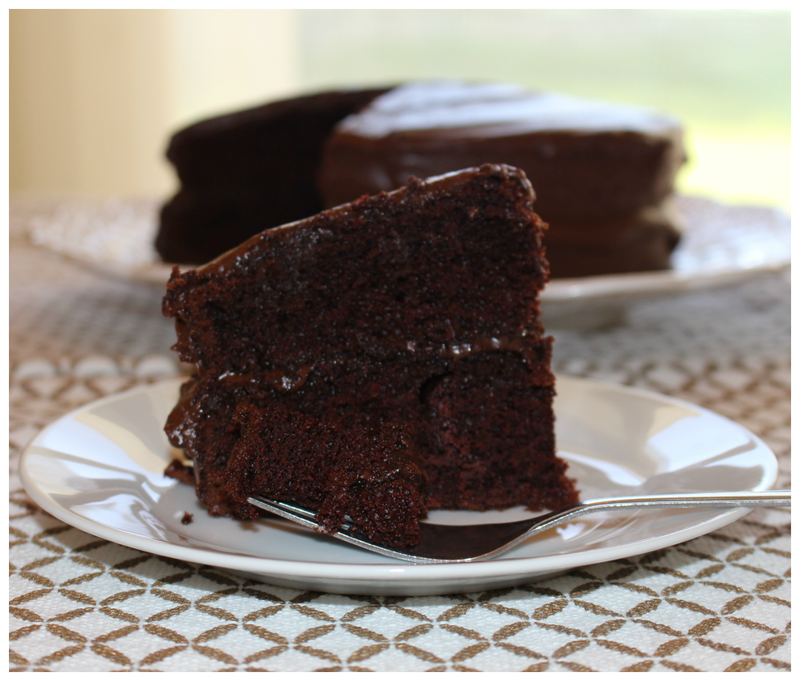 Looks like a great chocolate cake recipe... And who doesn't love chocolate? Happy to join forces with you on the tour! Oh man, anything chocolate is great in my book! We've made this cake!!!! It is so good. My kids request it for their b-day all the time. So glad this is on the tour! Oh boy, I am a chocoholic and this looks amazing! Thanks for sharing...off to check it out! Oh Vanessa! I love how you added the lemon zest. What a perfect balance of flavors. I love me some chocolate, that's for sure! MMMmmm! Chocolate cake...Who wouldn't like this! Seriously, your pictures had me drooling! Love chocolate cake... can't wait to try it! I feel like the cookie monster's sister (mom? ): Me Want Cake! I love cake especially chocolate cake and this looks and sounds delicious.